Snoring is funny to most people. Snorers are often mimicked and made fun of. But people who make fun of them may not realize the inter-personal problems the snorer and his or her spouse might be facing because of the incessant noise created in the bed room. More importantly, not many of us realize that this disruptive bedroom menace could be the first sign of a more distressful and often life-threatening disorder called sleep apnea. The close association between snoring and sleep apnea is not neither known to those who snore, nor people who poke fun at them. Do all snorers have sleep apnea? This is an area of concern for snorers as well as sleep apnea patients. Though loud and persistent snoring is one of the primary sleep apnea symptoms, it could well be that the person is suffering from sleep apnea without snoring. This means that one cannot always link snoring with this breath-related sleep disorder. Sleep apnea symptoms are varied in nature. While snoring, gasping and choking may be the most pronounced symptoms displayed by one patient, another may show symptoms like depression, putting on excess body weight, changes in behavior and personality, etc. Incidentally, all these symptoms are a result of disrupted sleep. Sleep apnea affected people snore because their airway is completely or partially blocked. Thus snoring cannot be treated as a decisive sign of sleep apnea as people who snore may not be affected by any sleep disorder. A large section of the American population snores. It is estimated that close to 30 to 50% of adult Americans have snored at one point in time of their lives. Not all of them have been diagnosed with sleep apnea. The only way one can differentiat e whether the snorer has sleep apnea or not is by studying his or her daytime alertness. Excessive daytime lethargy is one of the most predictable outcomes of sleep apnea which is a result of constant sleep deprivation caused by recurrent breathlessness, a tell-tale sign of sleep apnea. 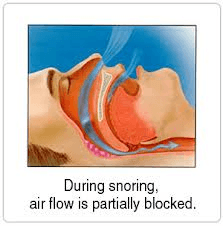 Ordinary snoring does make you sleepy because of lack of restful sleep, but not to the extent that you would fall asleep while driving or at work, etc; but sleep apnea will. Thus the only way one can know whether the snorer is affected by sleep apnea is by close monitoring. Sleep apnea is a sleep disorder that impacts both mental and physiological health. It goes further beyond snoring. How does sleep apnea affect mental health? How can snoring and sleep apnea turn life-threatening? Snoring an d sleep apnea both result in daytime lethargy which leads to increased chances of road accidents, heart ailments, raised blood pressure and more. However, it is also a fact that all of us snore once in a while when the nose is blocked or we are sleeping in a wrong position. The situation however needs medical attention when the same snoring continues unabated and becomes louder with time. 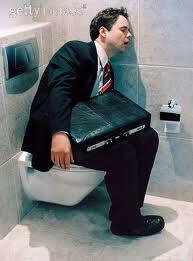 It would well be that gradually, the snoring problem becomes so intense that you cease to breathing during sleep. Cessation of breathing during sleep is a sure sign of sleep apnea. It is caused by upper airway narrowing or collapsing. When this happens, the lungs and brain get reduced supply of oxygen. The brain reacts to this situation in such a way that it results in reduced flow of blood to the heart. When this kind of situation persists, it causes raise in blood pressure and eventually the heart is irreparably damaged. When this kind of situation persists, it causes raise in blood pressure and eventually the heart is irreparably damaged. In 2007 Yale University researchers concluded that untreated sleep apnea can result in 30% increased chances of heart failure or death over a period of 4 to 5 years. How serious is my snoring? It is best not to go by what the individual opinions may be. Since neither the loudness nor the frequency is a trustworthy indicator of the seriousness of the illness, it is best to get properly diagnosed. Polysomnography or overnight sleep study is used to diagnose the seriousness of snoring. During this test, the level of oxygen saturation is tested where score below 90% needs immediate medical attention. As we have seen, though snoring may appear to be an inoffensive bedroom nuisance, chronic snoring has the potential to turn fatal if ignored for a long time. But before you learn about the various ways one can prevent and even eliminate snoring, you need to realize that snoring cures are programmed to address specific causes. This means that while snoring can be caused by various factors, there are remedies available to address each of these causes. There is no single remedy that can eliminate this bedroom disturbance. – Excessive consumption of alcohol that aids over-relaxation of muscles of the throat. – Obesity or being overweight. This results in creating extra pressure on the neck muscles because of fat accumulation. – Use of sedatives including sleeping pills. – Smoking cause inflammation of the mucous membrane in the nasal cavity, tissues of the throat muscles as well as obstructs the lung vessels. The combined effect of all these is obstructions in the airway tract. – Faulty positioning of the jaws. – Blockage of nasal airway caused by anatomical structural abnormalities. These include deviated septum in the nasal cavity, etc. Obstructive sleep apnea. – Throat muscles are weak. Muscle infirmity makes it prone to collapse while the individual is sleeping. – Polyps in the nasal cavity. – Tonsil or adenoid gland inflammation. Tongue enlarged compared to the opening of the mouth. – Swelling of soft palate or uvula. – Excess fat deposition on the breathing muscles, especially muscles of the throat. – Nasal passage blockage cause by cold, allergies, etc. One of the first pieces of advice that you are likely to hear from your doctor is to give up alcohol and smoking and more importantly lose weight. To change your sleeping posture and promote side sleeping, you can tie a tennis ball in the upper pocket of your sleep-wear. This will prohibit you to turn on your back. You could also use special anti-snoring pillows that ensure proper alignment of the neck, spine and head. There are plenty of brands available in the market that claims several value-added features for increased user compliance. Sometimes raising the pillow height and using simple anti-snoring devices like nasal spray and nose strips can help you stop snoring. Though you may not be aware of this, but if your bed partner mentions that you actually gasp for breath during sleep, talk to your doctor about putting you on Continuous positive airway pressure (CPAP) therapy. This therapy involves putting you on artificial ventilation by pumping in pressurized air in to the lungs to keep the airway open while you sleep. Use of anti-snoring devices is common in the treatment of snoring as well as sleep apnea when the cause can be traced to problems of jaw alignment, tongue receding etc. There are essentially two types of dental devices that are worn inside the mouth and fitted by a special dentist (orthodontist). These devices essentially advance the lower jaw and retain the tongue so that the mouth is not open during sleep. The first type Mandibular (means jaws) Advancement Device or MAD brings the lower jaw forward which automatically prevents the tongue from falling backwards during sleep. Tongue Repositioning Device or TRD is the second type of appliance which also holds back the tongue from obstructing normal breathing and interfering with sleep. The Pillar procedure is the surgery of choice when the problem concerns soft palate. In this procedure a filament made from polyester is inserted in the soft palate to stiffen it. LAUP – Laser Assisted Uvuloplasty uses laser to tighten the soft and flaccid tissues at the back of the mouth. This is an outpatient procedure. Somnoplasty procedure is approved by FDA for the treatment of habitual snoring. It is increasingly used for treating sleep apnea as well. This surgery is relevant when snoring is caused by deviated septum or excess tissues in the nasal airway. Using RFTA (Radio frequency tissue ablation) technology, this procedure tightens and reduces the tissue volume to clear the breathing passage. This procedure may not be recommended for individuals with BMI >32 as it is not effective with this group. UPPP – Uvulopalatopharyngoplasty is one of the most trusted procedures for the management of sleep apnea as well as chronic snoring. While with sleep apnea this procedure claims only 50 to 60% success rate, it results in significant reduction of snoring. Turbinectomy is performed when the problem is created by nasal turbinates. As far as medical conditions that lead to sleep apnea are concerned, doctors prefer to treat the underlying causes before taking any other steps. For instance controlling blood glucose levels for diabetic patients or providing thyroid hormone supplements to a patient suffering from hypothyroidism could result in significant relief to the patients. As is apparent snoring and sleep apnea usually go hand in hand, but not always. It is possible to be affected with sleep apnea without snoring too. Be that as it may, many of the snoring causes and similar to factors than lead to sleep apnea. 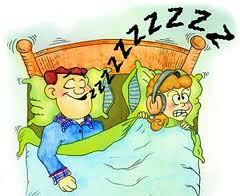 Thus when you treat snoring, you are also preventing the onset of sleep apnea to a large extent. Fantastic post on Snoring and Sleep Apnea! Sleep Apnea is a serious disorder and It does needs immediate medical consult..This post was very Helpful to me..Thanks.